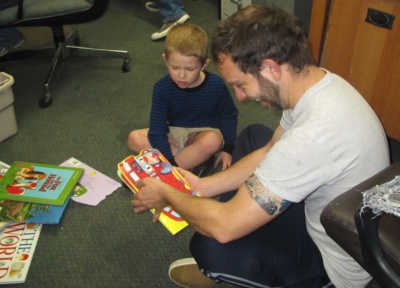 Volunteers work with children living at family shelter sites. 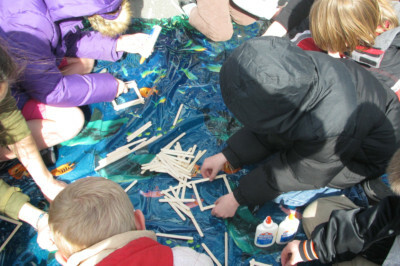 They provide a variety of activities including reading books, acting out plays, art projects, and scientific experiments. Our goal is to encourage education, confidence, and leadership skills by introducing hands on exciting learning experiences. Popsicle sticks create wonderful art projects. The primary contact for the directors of the Homelessness Network is Navarra Carr. She works with Arcata House Partnership. 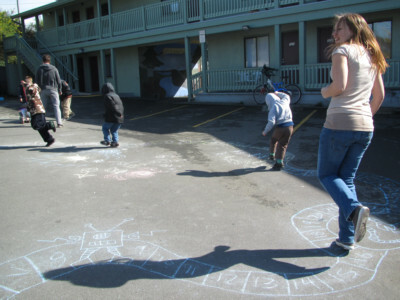 Children & volunteers play a large scale board game outside.